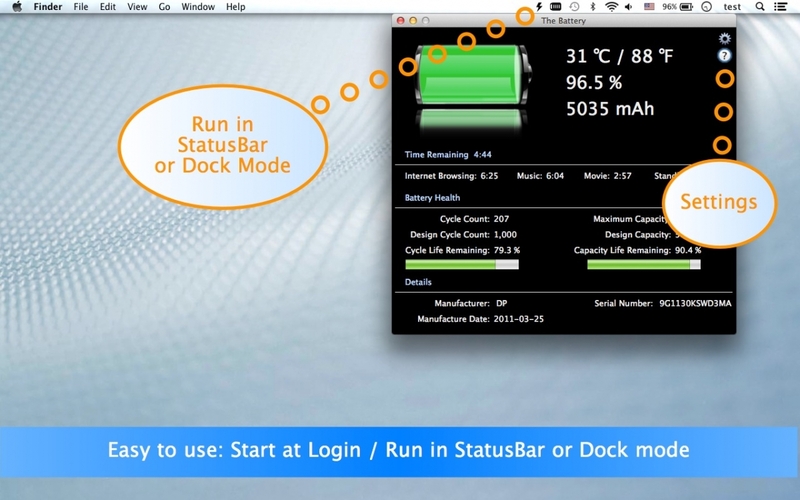 The Battery provides detailed stats and health information for your MacBook's battery! 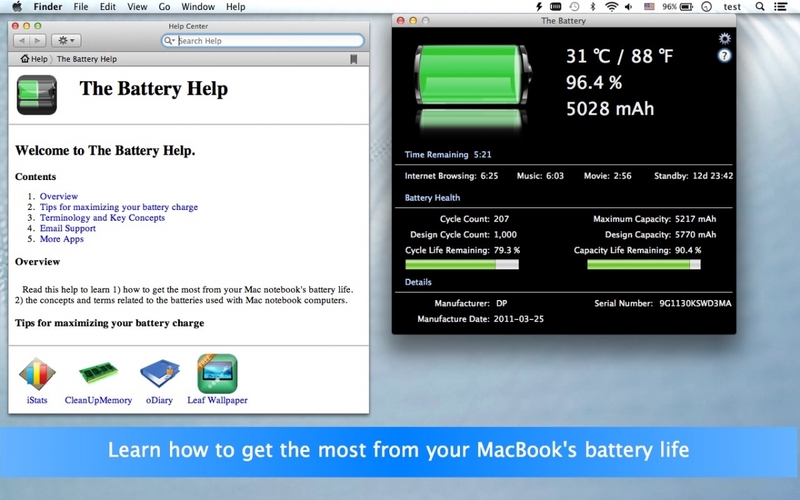 Be sure to check out the 'Advanced Tips' within the app to learn a host of useful ways to improve the life of your MacBook's battery. 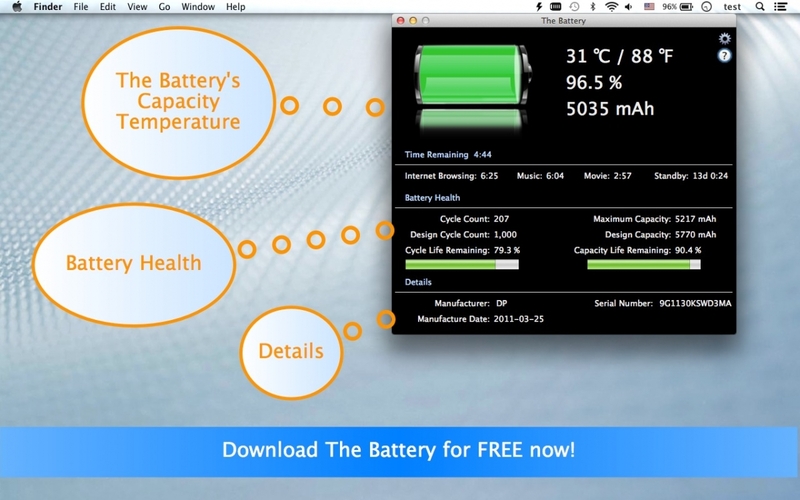 Download this app for FREE now!